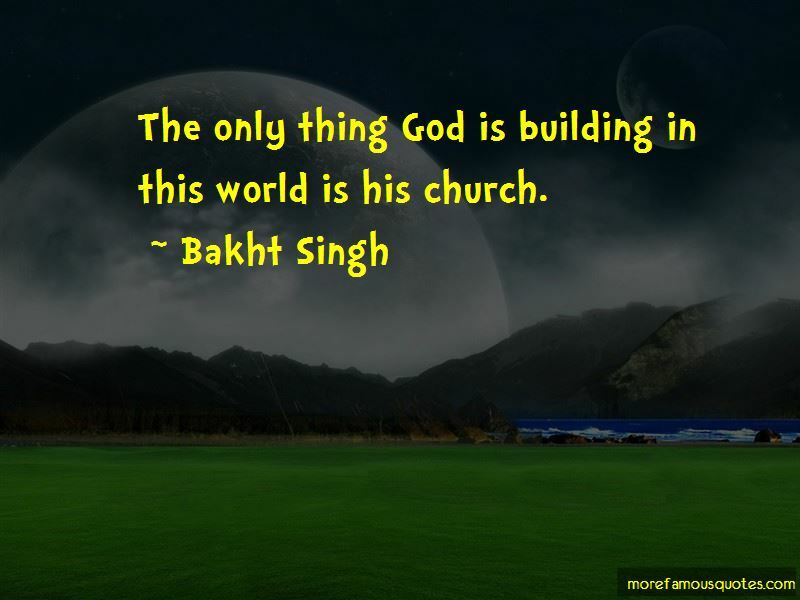 Enjoy the top 3 famous quotes, sayings and quotations by Bakht Singh. I have never yet failed to get a hearing (with a Hindu) if I talk to them about forgiveness of sins and peace and rest in your heart. 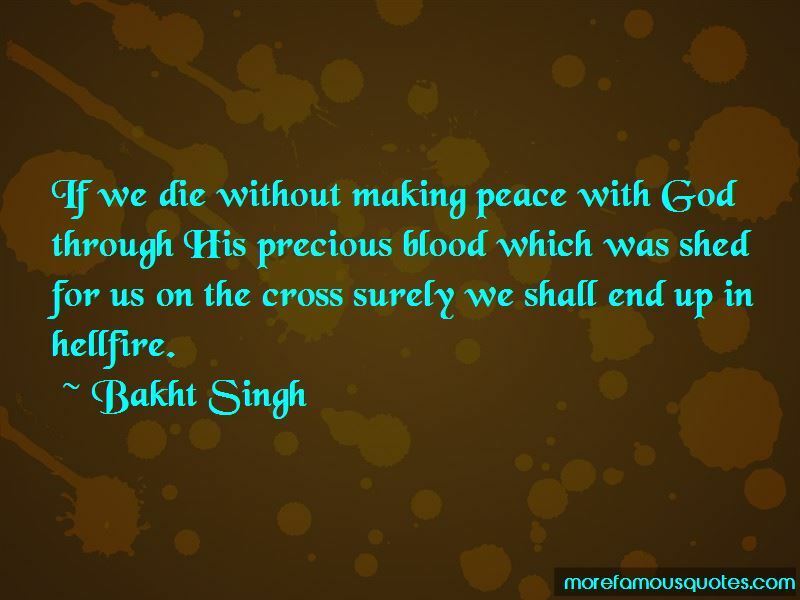 Want to see more pictures of Bakht Singh quotes? 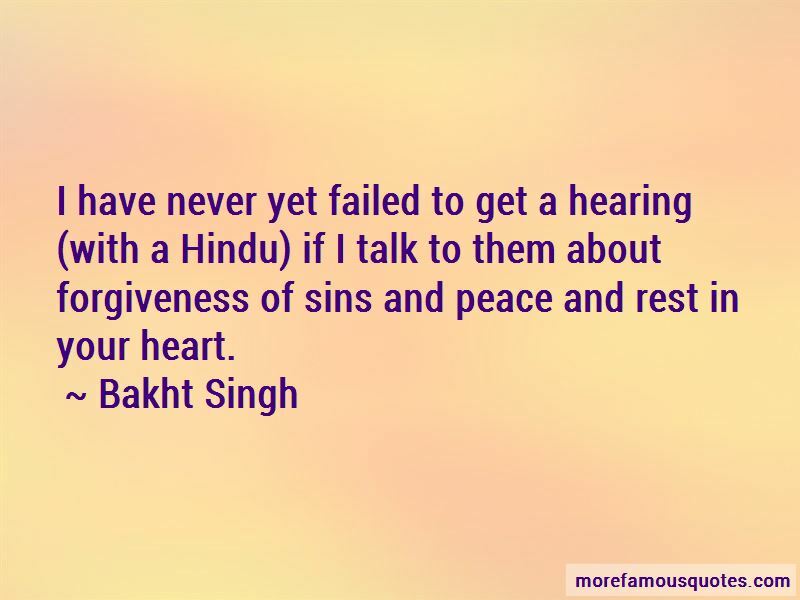 Click on image of Bakht Singh quotes to view full size.